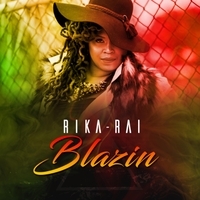 Blazin' is an inspirational reggae song filled with heavenly harmonies , and a heartfelt message, about self-reflection, and a desire of being closer to the most high. Smooth, Soulful & In Your Face!! !, is how you'd describe Rika-Rai's warm blazing voice that weaves emotional phrasing into melodic strands of song. Rika-Rai's music blurs the lines between the depth of soul and the emotional twist of R&B, with personal lyrics and stunning melodies with an inspirational feel. Her music is pure soul, with an R&B sound and a very inspirational message for the listeners.